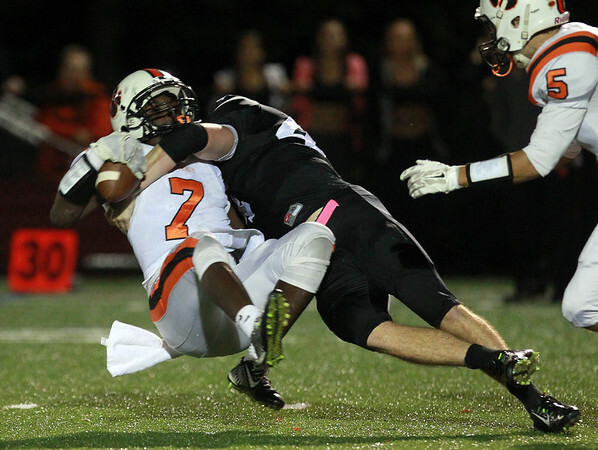 Beverly junior Peter Mulumba (7) gets slammed to the ground by Marblehead senior Brooks Tyrrell (44) after Mulumba picked off a pass from Marblehead quarterback Spencer Craig. DAVID LE/Staff photo. 10/10/14.